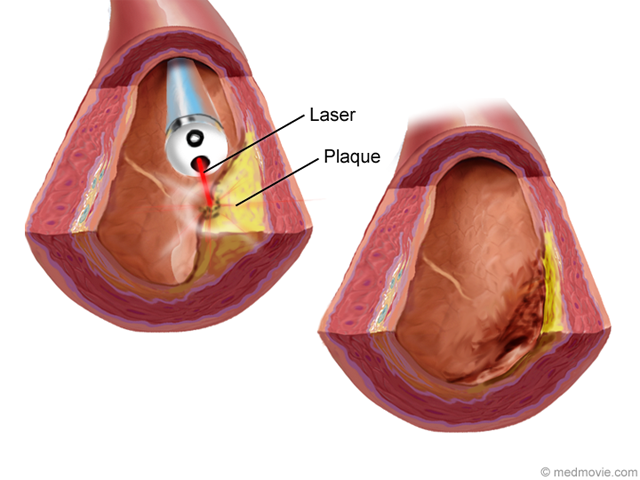 Laser Angioplasty (also known as excimer laser coronary angioplasty) is a technique that can be used to open coronary arteries blocked by plaque. 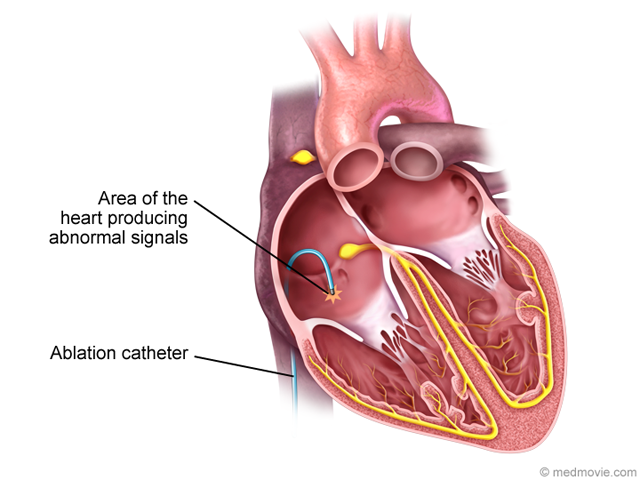 A catheter with a laser at its tip is inserted into an artery. Then it’s advanced through the artery to the blockage. When the laser is in position, it emits pulsating beams of light that vaporize the plaque.